The key holder is in the shape of a lock where the keys can be safely placed. 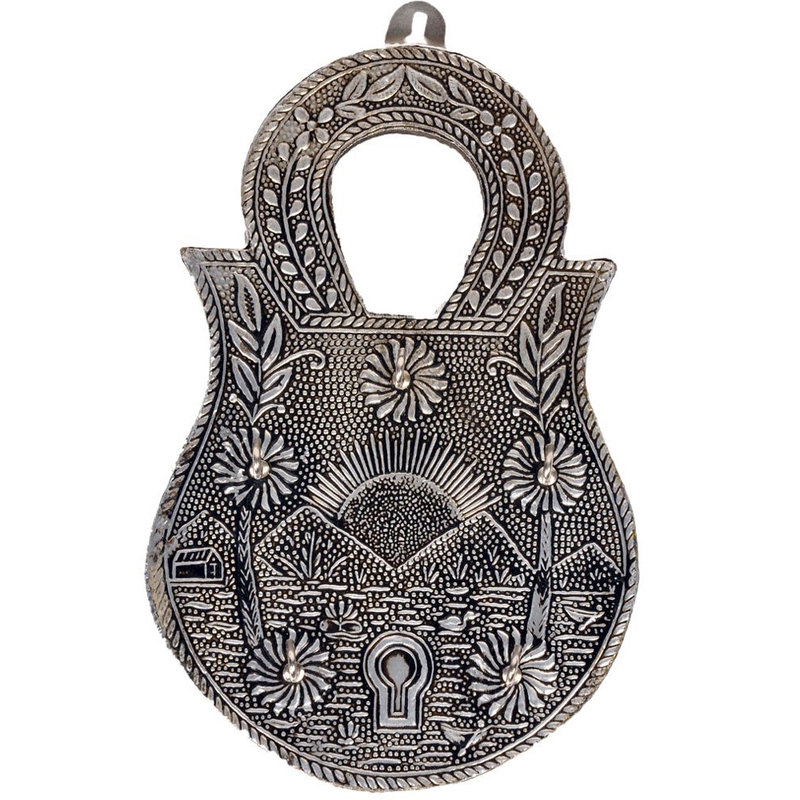 The key holder is beautiful made of oxidized Read More..metal with the hooks pinned on it for holding keys. Beautiful flower like designs are made all over it. The stylish looking key holder is sure to give your place a makeover. You can also give it as a present or simply beautify your own place. Show Less..